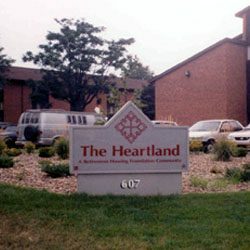 The Heartland is a beautiful, three-story, retirement community. The community consists of 150 apartments for older adults and mobility impaired individuals over the age of 18. 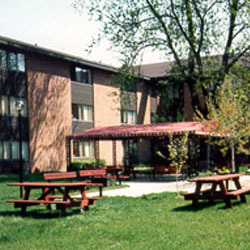 We are two blocks from the Peoria Civic Center and adjacent to the Veterans’ Clinic, and Senior World. We are minutes from all area hospitals, downtown Peoria, shopping malls, O’Brien (Baseball) Field, and convenient to public transportation. Our residents enjoy frequent parties, potluck suppers, bingo, and other social activities which are held in the community room. Our community actively participates in RHF’s Project H.A.N.D.S.